Discover the definition of laid back luxury at our unique beach resort in Parga. Enjoy premium accommodation, with over a hundred rooms and suites located in individual and bungalow-style buildings scattered around our verdant gardens, amid centuries-old olive trees and a wealth of local flora. Our beachfront resort is right on the Blue Flag Valtos Beach, and the picturesque town of Parga is just a short walk or even shorter water-taxi ride away. Whether you are travelling as a couple or as a family with children, take advantage of our extensive onsite amenities and plan the perfect beach holidays! If you are looking for exceptional accommodation in Parga, our resort offers elegant and luxurious facilities in a wide range of room options, from spacious deluxe rooms to family suites, to our prestige suites with private swimming pool. We believe holidays should be truly restful so we have invested in our guests’ sleeping experience. Our rooms are equipped with orthopedic ecological Coco Mat mattresses; we help you select the perfect pillow from our pillow menu; and rooms are discreetly scented with relaxing perfumes. 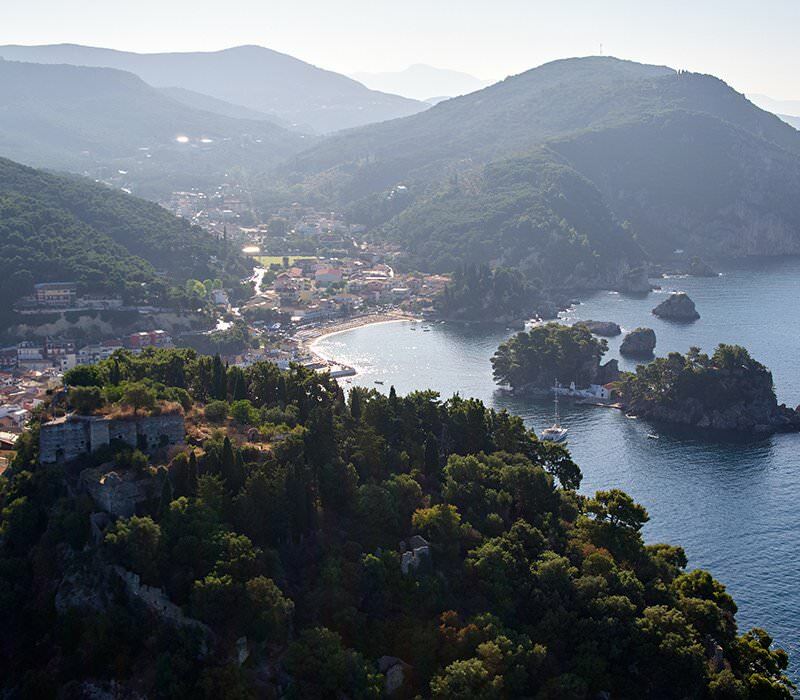 Parga Beach Resort is ideally located on Valtos Beach, a short walk from the picturesque town of Parga, and at close distance to many visit-worthy destinations, spectacular beaches, monumental archaeological sites, and areas of singular natural beauty.